A dinosaur on Michigan Avenue? So began the day on Twitter for those following the Field Museum, which took to social media Monday morning to announce that “unprecedented” dinosaur fossils had been found underneath a building just off the Magnificent Mile. This was, of course, an April Fools’ Day joke, which the museum confirmed with another tweet three hours later. 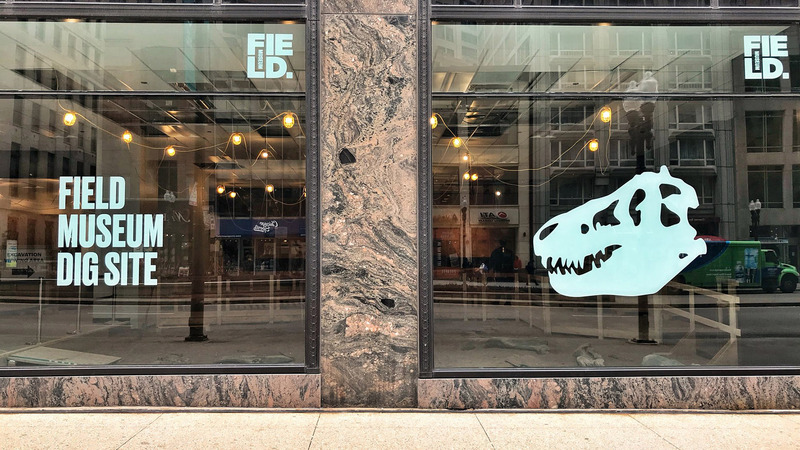 Monday did, however, mark the opening of the Field’s new pop-up experience at 333 N. Michigan Ave., which transforms a storefront into a replicate “dig site,” filled with casts of real dinosaur bones and tools used by the museum’s scientists in the field. The exhibit aims to replicate the type of site where paleontologists would search for fossils. The pop-up exhibit is free and open to the public through June 30, from 11 a.m. to 7 p.m. Monday through Saturday and 11 a.m. to 6 p.m. Sunday. On weekends, Field volunteers will be available to show visitors specimens from some of the museum’s behind-the-scenes collections.